The winner of the April monthly photo competition is this fantastic installation from Homeworks Solutions. 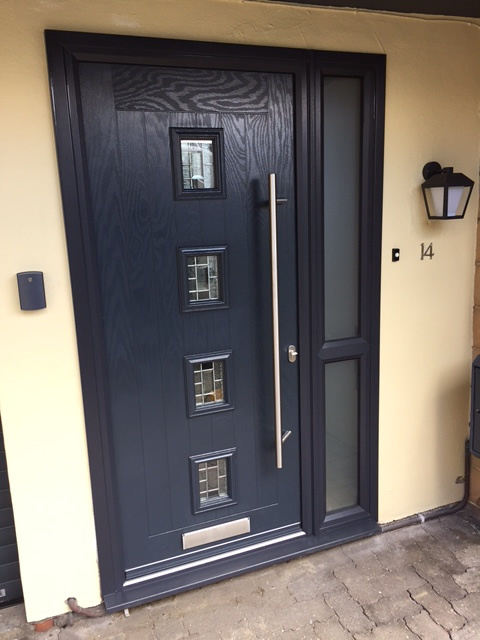 The winner of the April monthly photo competition is this fantastic installation from Homeworks Solutions.They installed a Turner TR2F from our Contemporary Range of Truedor’s using the fastest growing colour from our, range Anthracite Grey. They also used the same colour frame and side-light and embellished the appearance of the door using Prairie Glass. Congratulations to all at Homework Solutions for a great installation.